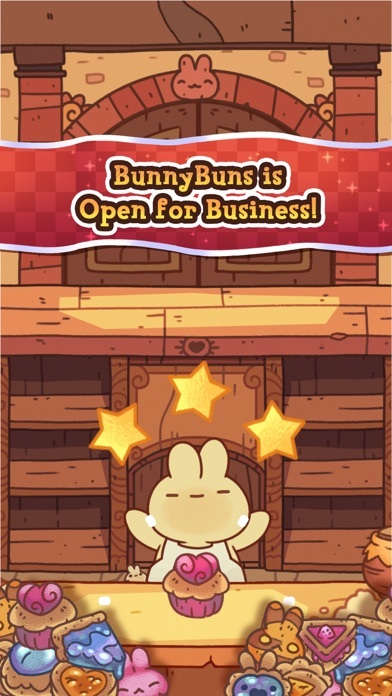 Welcome to BunnyBuns! A magical pastry shop where I use my MYSTICAL BUNNY BAKING POWERS to mix feelings with fillings to create the most delicious pastries EVER!!! Sure your standard HAPPY, strawberry cake always sounds appealing at first... but sometimes it's humpday (...hey Mike, am I right?!) and a sad, BLUEBERRY pastry is what really hits the spot. Tears with tart... YUMMM!!! We've got the most interesting clients! I WONDER where they all come from?! I would ask but I'm just a shy little bunny. One of them appears to be on FIRE! (o.o) Sometimes, if I give my clients EXACTLY what they want, they get REALLY happy and leave me FUN surprises! I'm still learning EVERY day and I hope to unlock ALL the recipes so I can keep growing my special little bakery. I HOPE you can help me. I would be FOREVER grateful. I may even let you sample some of my most EXQUISITE desserts! 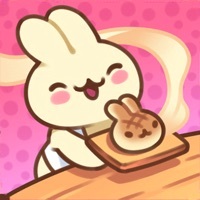 BUN APPETIT! Cute characters, good variety. But tons of glitches. Bunny won’t keep his updated apron between sessions, puzzle pieces don’t appear properly when you earn them, bunny waits for more customers but no one comes in, critic now is unhappy with 2 of 3 correctly made items. Will wait for the next update and try once more. Ok so the game is super cute and I love it, but I think the new update did something weird. You know how the bunny chef usually falls asleep after a while? Well mine won’t do that. I bought the third page of recipes, and then served one more customer ( idk if that matters or not) , and it looked like the bunny was about to fall asleep, but then the dog walking in again and the bunny popped back up. I always tell myself when playing this game “oh I’ll just play until the bunny falls asleep” but the bunny won’t fall asleep?!?!?! So I don’t know what’s going on, it’s not necessarily a bad thing, but it’s just a little strange not having to wait. I don’t know if it’s just a new animation you added every once in a while, I personally don’t think it is. It might be my connection, but when this happened it said my WiFi connection was strong. It feels like I’ve been playing for way to long. I have a couple of other games by you guys, and I’ve never experienced any problems with them, or any before now on this one. Overall, I love your games and I think they are adorable, and it would make me very happy to see this ( what I believe is a glitch ) fixed. I love this game, it’s absolutely so cute and fun to play. However I’m still experiencing the glitches were the animals are giving me wrong puzzle pieces and for different pictures. I had one entire puzzle shown to me from this glitch where I hadn’t had any of the pieces previously. Also when I am getting a gift after filling the heart meter is just shows a different puzzle. Another glitch is that I spent 1000 coins to get new clothes only for nothing to be given to me:( this is a really great and adorable game but it needs a few bug fixes. 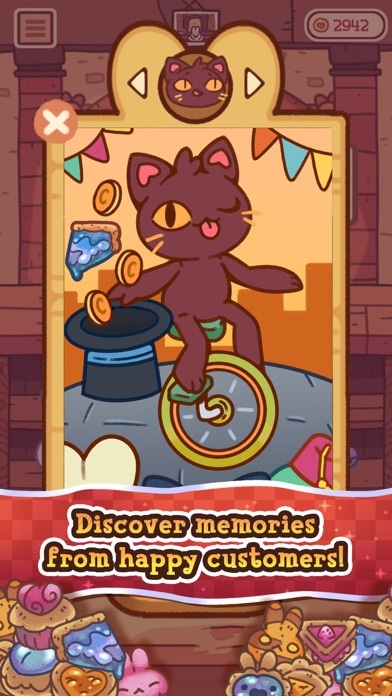 this game is really cute and i love it. i've only experienced a couple glitches which is not too unreasonable. the suuuuper long wait times were very, very annoying however, especially because of how simple this game really is. people are talking about their wait time glitches, but i'm currently experiencing the opposite: i have no wait time. while i am fully aware that this is a bug that will likely soon be fixed, the game is a lot more enjoyable with no wait time. i understand that the devs think you would go through the game too quickly with no wait, but this isn't the case, since you really only get 2-5 coins at a time, and the recipies increase in price VERY sharply. playing for only a few minutes then waiting for 20-50 feels unfair. i think everyone would be very happy if you made my bug of no wait time intended. this game is so cute and fun! i find it easy and relaxing! love unlocking stuff! it is a new game so of course theres going to be glitches and bugs. patience is a virtue, everyone! with this new update, the dog lady customer will give puzzle pieces, but they will open on the bunny chef’s photo and not hers. when i go to it, theres no added pieces! i appreciate all the work yall do to fix stuff like this, so thank you so much!!! Before the game came out I was extremely excited but once it was released that excitement faded... The concept is very simple so it’s more of a children’s game in my opinion. Also the wait times are extremely long and annoying. After just a few rounds the wait times get as long as 30 minutes and continue to get larger. Plus there’s only 4-6 customers per round so you only play for 1 minute and wait for 30+ minutes. This game would be great if the wait times were a minute or two EVERY round. If this happened I believe I would love this game. i really like this game and enjoy playing it, but after the recent update, it changed a lot of things? there is no more break time in between the whole thing and customers just keep on coming. i spent 700 coins for new clothes, but it didn’t give me the clothes. it still took the coins. the code “yaybunny” also doesn’t work for me. Get this app NOW! If you are reading this... PLZ GET IT!!! I just got it and i am having so much fun. The only things is that you have like 5 customers a day right when you start and you have to wait like 238 seconds after your second time opening the shop. Over all... HYPER BEARD GAMES ARE AMAZE!!! I HAVE ALMOST ALL OF THEM!! PLZ GET IT, PLZ! Some customers have asked for pastries that i haven’t unlocked yet, but i’ve noticed that the bakery continuously opens? I don’t know if that’s intentional from the update or just a glitch? but i honestly love this game and it’s sooooooo cute! this game is soooooo cute is loving it. just started playing it for a few minutes and now i’m ADDICTED. you should really take this game in consideration for when you are bored. this game is amazing. Graphics are cute and the game is a nice idle play like a lot of hyperbeard games but there are some glitches. Most notably, I tried to buy some clothes but nothing happened, just out 700 coins. Bought a mat and that unlocked without issue. Haven’t tried to buy a hat yet. This game is so cute and a lot of fun. But, my game is glitching a lot. I’m not getting any resting time. I don’t know what’s wrong with it but overall good game! This game is super cute and has great pacing! I really enjoy playing it to waste time or just when I’m bored! Love the Game!!! Super cute and amazing! When I close the app, my clothing returns to the white original apron. The clothing screens says it the apron I bought. I have to unequip and equip it again for it to show. Hopefully you can fix this in the next update! Thanks! I really like this game! The art is adorable, and the magic baking is exactly my niche! However, there are some issues. The french bulldog and the bull's reward(?) descriptions are flipped. As well as that, the sleeping/sleeping minigame have completely disappeared. I will finish a day and then a new one will instantly start. Im also a little disappointed that you cant mix recipe cards, and make like a bunny shaped cotton candy thing. Finally, the fulfillment registers are weird. I can fill a star or heart all the way and will not get it. All in all, it is a great game that just needs a little adjusting in order to reach a sweet perfection! The game is so cute and fun but there is this glitch where a customer asks for something I don’t have and when I complete all the memories they don’t show up on the big picture.overall amazing game but please fix some bugs.thanks! This game is fun and cute but lots of frustrating glitches continue to happen even with the recent updates. I wouldn’t get frustrated if the rounds weren’t so long a wait (anywhere from 35-50 mins of waiting after finishing a round to be able to play again) but when you have multiple glitches per round and you have to wait nearly an hour before trying again it gets a little old feeling like you aren’t getting anywhere in the game. Every time I am done with a shift I have to wait for a longer period of time.I just kinda wish that there was more mini games to play instead of the “ball toss game” so it would make my time worth while.Anything else is amazing! Still a bit glitchy but the kinks are getting worked out. I'm really enjoying this relaxing, cute-looking game. But what's going on kn the Color Kingdom? I love this game. It’s cute and fun but I come across two issues with it. The first being you never seem to get enough coins. The second is how buggy it is. I bought one of the fast forward clocks and my game crashed and I still lost the coins. I got the last piece of the puzzle for the dog character but it loops me to the first puzzle and doesn’t finish it. Like I said before I love this game but it’s still got work to do. Edit:April 19 I still am playing the game and I do enjoy it. The new patch did not fix the puzzle error but the other errors were fixed. Hello!! I love your game!! But I have been having recent glitches were multiple characters ask for treats I didn’t unlock yet! And I was really confused! I love your game! I hope you fix this soon! 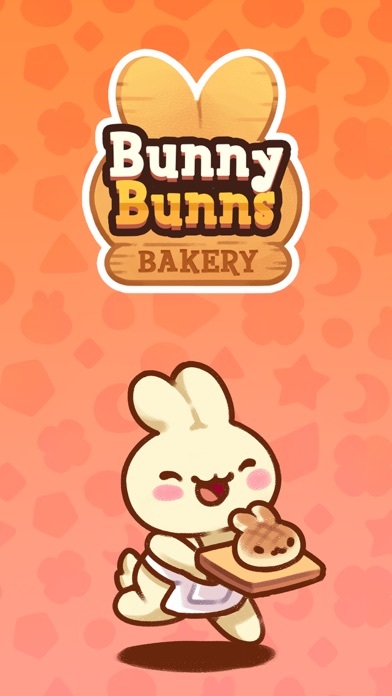 I love your game because you can make pastries and it has my favorite animal rabbits!! Also I love the quotes they say or ask for a specific kind of pastry the only thing I don’t like about it is that it goes to sleep after baking and you have to come back later. Also I have a suggestion could you maybe make it so that we can reply to what bunnybuns customers are saying? If you put my suggestion into the game I would really appreciate it and I would rate it five stars!! Thank you to those who toke the time to ready my review bye! Today I just discovered that my customers have been ordering non stop. When the bakery closes it opens in a blink of an eye. absolutely adorable game, but i seem to be running into various bugs within the game. I've unlocked all the puzzle pieces for one character but for some reason it never lets the last puzzle piece place to finish, whenever i unlock a friend to show in my postcard they disappear once i get another friend or the next time i check it. another big problem is that the first pastry i make after sleeping half the time won't let me make it, and even if i do make what the customer wants and give it to them, they don't like it! I've figured out that if i make their desired item second then they like it but that leaves me with an extra pastry and i just have to hope that someone else wants it. it might also be beneficial to make the recipes after the third one still cost more and more rather than stay at 1,000, but that's just an idea. I play the game like normal and finished the day, but right when the bakery closed it automatically opened again after less than a second and I didn’t have to wait? I thought it would go back to normal if I filled out everyone’s orders again, but right when the bakery closed it opened again, It is like an everlasting day! I really love this game!! It's cute and simple, and there's some sort of progression that keeps you playing. :) But I think there's a bug? 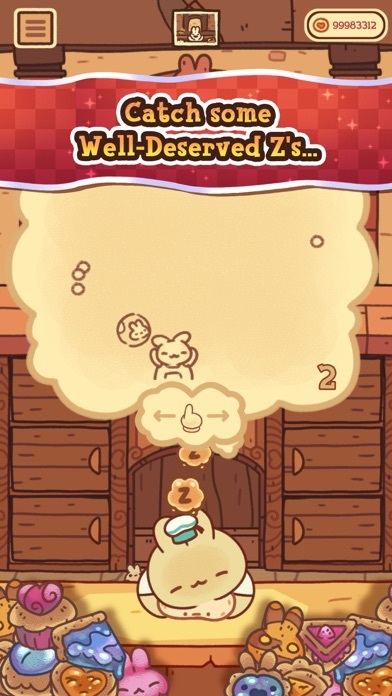 Whenever you reopen the game, the first pastry you make doesn't let you tap it, so you just have to wait it out. It's a bit inconvenient. I don't know if that's intentional or not, but I figured I'd mention it. I’ve been waiting for this game to come out for a while after seeing it on the section where you can pre-order and stuff. The game overall is very cute and simple. I’m currently sick and this game is really calming and easy to play so I can still do something and not get a major headache. I love this game so much!!!!! 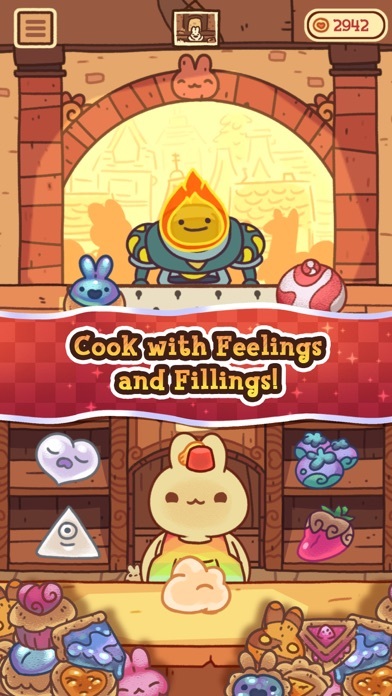 Its really fun and the bunny chef is adorable. But the bunny chef isn't taking a break, and the bakery isn't closing. Ive been playing the game for thirty minutes and the bakery hasn't closed, and I'm a little sad because if the bakery doesnt close then a cant play that cute mini game! I really love this game and will continue to play it, but I would just like it of you foxed the glitch. The game has gotten so much better with the time glitches I’d been having! However, now, there seems to be no waiting at all? I’ve only been playing for a few minutes, but when the bunny went to sleep, it reset right away. I honestly preferred the game to be a short experience every time you play, and having to wait half an hour or so was no problem. It’s paced like many of your other games, but now the bunny isn’t even going to sleep? Was this intentional? When I first got the app, everything was fun! I enjoyed playing the game, and there wasn’t anything going wrong. Now, for some reason, every time I get on the app, it says 49 minutes remaining, or 50 minutes remaining, and it won’t go down. I literally haven’t played the game in 4 days and it’s been saying 49 minutes remaining every single time I try to play.